What If I Am Partially at Fault for My Virginia Car Accident? Being in a serious car accident can be overwhelming, and many victims are unsure what to do first. If you think you may have contributed to the crash, it is generally advisable to leave the assessment to the professionals. Being too quick to admit fault can damage your insurance claim as well as any future personal injury suit. Assigning fault generally involves determining whether any of the parties involved in the crash were negligent. Negligence occurs when individuals fail to use reasonable care and subsequently cause harm to another person. Examples of careless driving include running red lights, driving while distracted, speeding and failing to yield. While the causes of some crashes may be straightforward, others involve conflicting versions of the events. For example, while you may have crashed into the back of another car, that vehicle’s brake lights may not have been functioning properly. Therefore, you should never admit fault to the other drivers or law enforcement at the accident scene. Instead, it is advisable to consult with an experienced Newport News auto accident lawyer who can investigate the crash to determine who should be held liable. Potential evidence may include police reports, eyewitness testimony and accident reconstruction. Virginia follows the doctrine of contributory negligence, which can be very damaging to a car accident victim’s claim. It provides that a plaintiff's negligence, no matter how minimal, prohibits the plaintiff from recovering for his or her injuries, even if the defendant is primarily to blame. Virginia is one of only four states that follow this strict rule. Most have adopted contributory negligence under which an injured party’s financial recovery is reduced by his or her percentage of the total negligence. For example, if the jury awards $60,000.00 in damages and the plaintiff is found to be 30 percent responsible, his or her damages would be reduced to $40,000.00. Insurance companies regularly allege contributory negligence as a defense in Virginia accident claims because it can eliminate their potential liability. 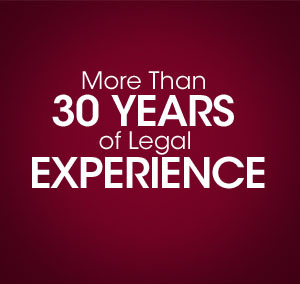 Therefore, it is imperative to have a knowledgeable personal injury lawyer by your side. To discuss your case, contact the Law Offices of Timothy H. Hankins today.